MILSPEC IFF squares for Marines' FROG uniform or any uniform with loop fastener. 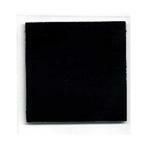 IR Flag Patches provide fast identification during the day and IR reflective properties for night time operations. This blank 1 inch IR patch has great reflective properties for night time operations.